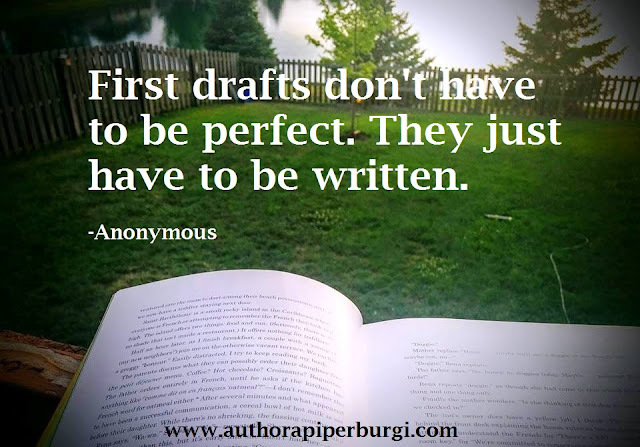 A. Piper Burgi - Independent Author: Finished Writing the Initial Draft. Now What? 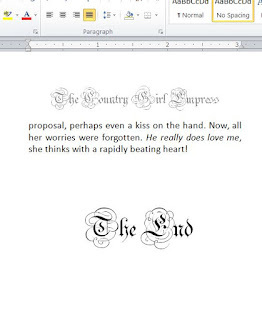 Finished Writing the Initial Draft. Now What? I can't believe I finished! While I was in the midst of writing, I couldn't help but feel a sort of mid-book panic, and I asked myself: Where is this story going? How will I finish it? Is the plot strong enough to keep the readers' attention? I suppose second-guessing yourself while writing is not an unusual occurrence, and I feel that way every time I put words on paper (or in most cases on a computer screen). So, it is with great relieve and satisfaction when I somehow manage to finish my manuscript without too much trouble. As I have already mentioned in my last post, after finishing the initial draft, I find it helpful to gain some distance by setting the manuscript aside for a while. When I finally begin my first round of editing, I can do so more objectively. It's exhilarating to write an initial draft, to dream about the characters, their lives and the way the story might unfold. This phase of the creative process can be quite taxing, and can take up a lot of my time. But, after the emotional and physical drain begins to subside, it is replaced by a great sense of accomplishment. Thank goodness there's an editing process! While we would like to believe that there's no way our writings need editing, we all know that they all need it, whether we like it or not. As a matter of fact, my upcoming book will undergo many rounds of self-editing, before any editor gets to put their hands on it. No matter how many books I write, I would never skip the editing process, and although it can be grueling at times, I am thankful for the feedback, which can only make my books better. I just created this fantastic piece, but I know I really shouldn't get too attached. They are just words jumbled together in sentences and paragraphs, which I hope make sense to readers. But as much as I might love what I wrote, I need to go back through the entire book and eliminate what doesn't work. As I have mentioned in my last post, in order to make this process seem less of a loss, I cut and paste my deleted items into a blank document for future reference. Waste not, want not! Hopefully, people will read it! 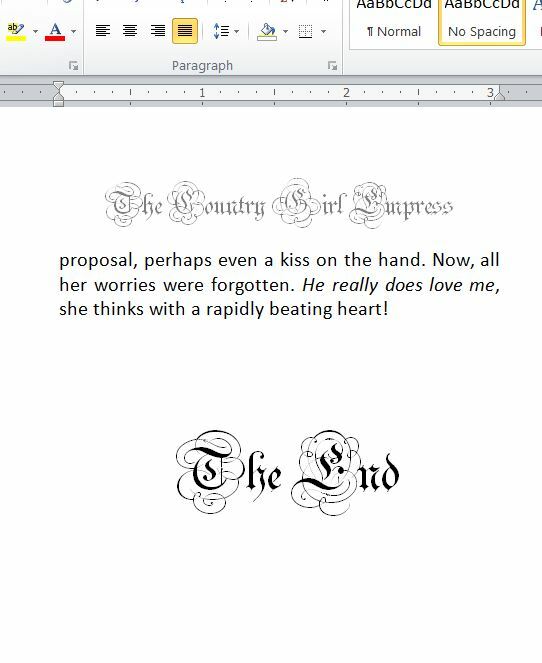 I love to write stories I enjoy. Otherwise, why bother? Of course, different people read my books with different expectations, but I've learned long ago that I can't please everyone. And so, I shall continue to write what I love, with the hope that my writings will bring joy to some of my readers, and provide others with the information they seek. I can't help but wonder, which parts of my book will or won't please readers. So, what about you? How do you feel after you've finished writing an initial draft? I'd love to hear from you!